When preparing for the EMT-B certification, one of the most effective forms of preparation are EMT-Basic practice scenarios. Even though you will most likely be nervous for the NREMT test, these emergency medical scenarios will enhance your EMT training, build your confidence and greatly assist you to release some of your anxiety. There’s nothing more beneficial to passing a test with flying colors than knowing the material cold. Test taking isn’t for everyone, some people tend to do well, while others need to work and study more diligently to keep up, but with confidence most people are able to perform well during the exam. First aid scenarios are a form of role playing as a means to practice various life saving techniques – most of the time with actual medical equipment and mannequins. Repetition is one of the best ways to absorb new information, so when an individual is presented with an opportunity to apply their knowledge, they are well prepared because they’ve gone through extensive practice scenarios. However, before an EMS professional can be presented with an opportunity to perform their skills in the real world, they must pass the EMT certification exam, and so that’s the first priority. So not only can you greatly increase your knowledge of the written test, but you’ll perform much better during the field test as well. Many times practice scenarios can be carried out by a single individual, such as for patient assessment, but if the treatment typically involves more than one EMT, or perhaps a team leader is coordinating instructions to other team members. 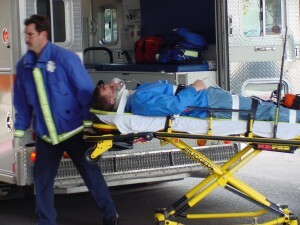 These scenarios obviously increase in difficulty and level of knowledge required as one advances through EMT training. When performing EMT practice scenarios, a few things should be kept in mind. It’s important to communicate while you perform your practice scenario assessment and treatment to your team members – things like the general condition of the accident scene, your having taken body substance isolation (BSI) precautions, that you’re analyzing the patient’s condition, whether you’d like to wait for ALS backup or transport, etc. Communicating in this manner serves a few purposes – you’ll be given credit by your instructor, and perhaps even more important, your knowledge level and recall of your study material will improve tremendously. It’s important to perform these practice scenarios while mimicking the actions you’d be taking during an actual call. These practice scenarios are timed in most cases since instructors like to make these scenarios as realistic as possible, this will assist you to think on your feet. All the normal patient assessment protocols should be followed. 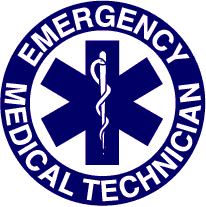 Patient Assessment – An EMT Basic candidate must be able to thoroughly assess a patient’s condition for trauma patient. Clear communication and the ability to build rapport with the patient is vital for obtaining their medical history. It’s also important to remember your SAMPLE and OPQRST mnemonics. Breathing Emergencies – Use a bag valve mask to adequately ventilate a patient, along with the use of a pocket mask with an oxygen port and one way valve for mouth to mask for supplemental oxygen. Blood Loss Control and Shock Management – Minimize blood loss with direct pressure and elevation, along with the treatment of patients showing signs of hypoperfusion. Cardiac Arrest/EAD – Assess the patient and perform CPR and administer defibrillator shock quickly and safely, prepare patient for transport, consider ALS intercept. Soft Tissue Injury – If patient has suffered an amputated or avulsed body part, properly care for patient. Upper Airway Adjuncts and Suction – Determine the correct size and insert the nasopharyngeal airway and properly suction an oropharynx. Musculoskeletal Injuries – Effectively immobilize a closed, non-angulated long bone fracture of a Long Bone Injury, effectively immobilize an separated shoulder injury with sling application, and swathe a joint injury. Be sure to perperly apply a traction split. 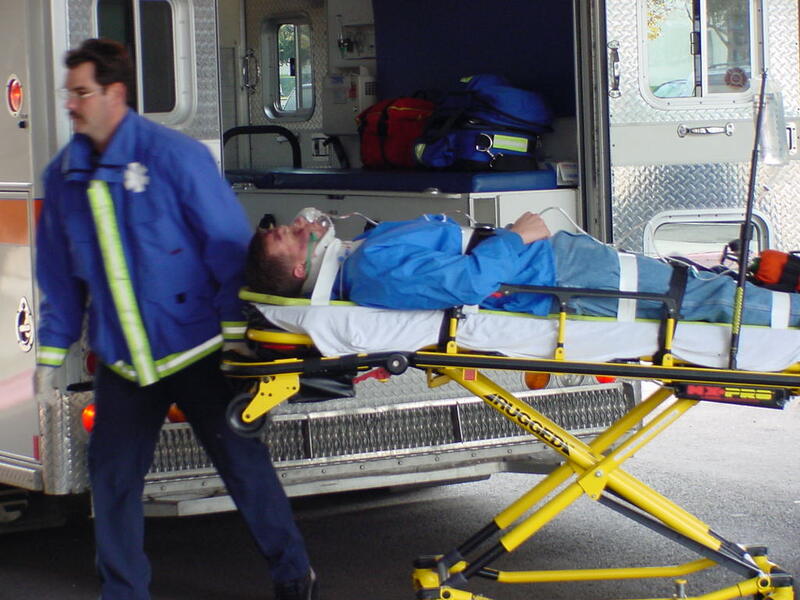 Spinal Immobilization – Apply proper technique in using extrication collar for Supine Patient and Seated Patient, and securing the patient to a long board. Supplemental Oxygen Administration – Set up a free flow oxygen delivery system and deliver oxygen at a specified rate. You should be able to find these and other EMS and paramedic scenarios in your textbook. You can also find other books dedicated to scenarios, including “EMS Scenarios and Streen Scenarios for EMT and Paramedic”. Additionally, you can check your local healthcare facility which should offer EMT training courses, then you can buddy up with other students that want to carry out scenarios along with you. While actual real life situations will differ greatly from EMT basic practice scenarios, every aspiring EMS professional in the process of learning how to become and EMT needs to rehearse them to be prepared when emergencies happen – you will be much more prepared and confident when called on to possibly save a patient’s life. 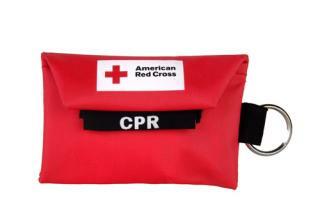 Pick up a CPR face shield today!